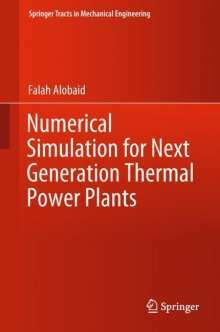 Der Artikel Falah Alobaid: Numerical Simulation for Next Generation Thermal Power Plants wurde in den Warenkorb gelegt. Ihr Warenkorb enthält nun 1 Artikel im Wert von EUR 164,28. The book provides highly specialized researchers and practitioners with a major contribution to mathematical models' developments for energy systems. 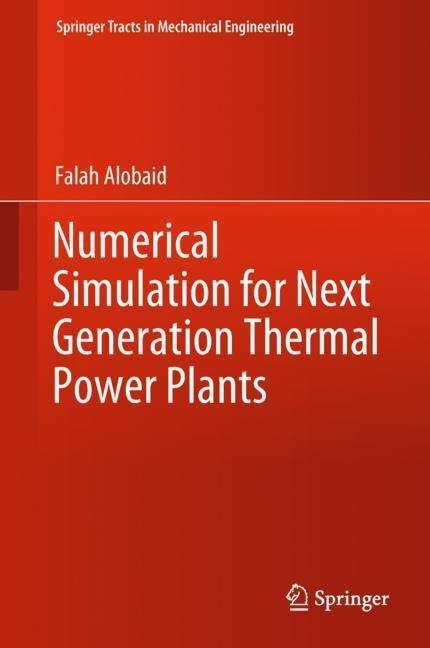 First, dynamic process simulation models based on mixture flow and two-fluid models are developed for combined-cycle power plants, pulverised coal-fired power plants, concentrated solar power plant and municipal waste incineration. Operation data, obtained from different power stations, are used to investigate the capability of dynamic models to predict the behaviour of real processes and to analyse the influence of modeling assumptions on simulation results. Then, a computational fluid dynamics (CFD) simulation programme, so-called DEMEST, is developed. Here, the fluid-solid, particle-particle and particle-wall interactions are modeled by tracking all individual particles. To this purpose, the deterministic Euler-Lagrange / Discrete Element Method (DEM) is applied and further improved. An emphasis is given to the determination of inter-phase values, such as volumetric void fraction, momentum and heat transfers, using a new procedure known as the offset-method and to the particle-grid method allowing the refinement of the grid resolution independently from particle size. Model validation is described in detail. Moreover, thermochemical reaction models for solid fuel combustion are developed based on quasi-single-phase, two-fluid and Euler-Lagrange / MP-PIC models. Measurements obtained from actual power plants are used for validation and comparison of the developed numerical models.